You might not pay me to read the phonebook to you, but you’d like it. 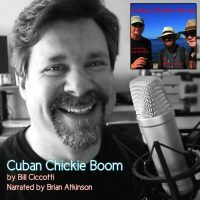 Cuban Chickie Boom by Bill Ciccotti is an action-adventure, in the pulp-fiction or noir style. It has comedy, violence, some rough language, and old guys with a food obsession. Narrated by Brian Atkinson. 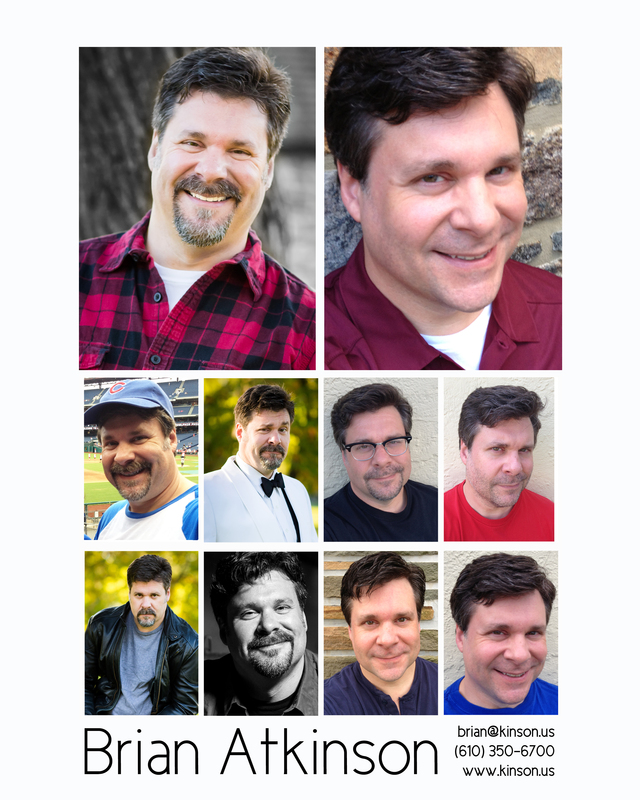 Dry recording, narration, pulp-fiction, noir, action-adventure, Retail Sample. 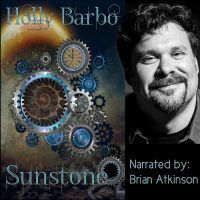 Sunstone is available on Amazon and Audible. I performed over 40 voices in this Science Fiction (Steampunk) audio book. The sun goddess Navora created a new world on a primitive moon, and the Sunstones to guide her people. As centuries pass, life on the moon develops into a geothermal steam-powered industrial age. A triumvirate of politicians, banks and corporations bring strain and suffering to the masses they rule over. With the gears of time ever moving and trouble spiraling to a crisis point, can three individuals and a handful of fossils prevent a violent revolution? Dry recording, narration, characters, steampunk thriller, Retail Sample. Dry recording, narration, female characters, steampunk thriller, Chapter. Dry recording, characters, steampunk thriller, 5+-minute demo. Dry recording, straight read, fantasy genre, 2-minute demo. Dry recording, straight read, fantasy genre, 7-minute demo. From Hell To Heaven To Hell – by Jim Grundy – Mix of Texas and West Virginia accent and dramatic reading.